U.S. News & World Report recognized the University of Dayton for offering one of the best online graduate education programs in the nation. The University ranked 15th among more than 200 programs. 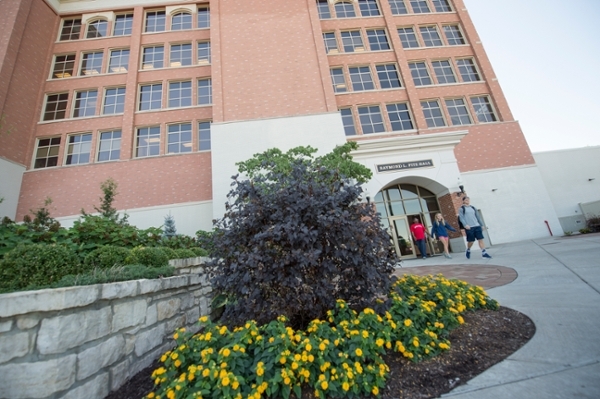 The magazine highlighted the School of Education and Health Sciences programs for small class sizes and individualized attention for students, easy access to technical assistance and faculty accessibility outside the course, among other factors. "Online education is our means of extending graduate degree programs to professional educators and adult students,” said Dean Kevin Kelly. “This recognition is a validation of the quality of our faculty and the care they have taken to develop engaging curricula and programs." The ranking is based on accreditation, admissions standards and academic and career support services offered to students, according to U.S. News. The School of Education and Health Sciences offers online degree programs for early childhood leadership and advocacy; interdisciplinary educational studies; literacy; music education; teacher as leader; technology-enhanced learning; transdisciplinary early childhood education; educational leadership; and education leadership with a Catholic school leadership concentration. More information is available at udayton.edu/education. Recognition of the School of Education and Health Science’s national reputation is nothing new; in January College Choice, an independent online publication, ranked the School’s online master's in education degree among the 50 best in the nation. And, recently the National Council on Teacher Quality named the University of Dayton’s elementary education program among the best in the nation.